« Rossiter Books – an evening of writing alternatively and fun! AURELIA, the fourth Roma Nova thriller, is out in the world now and drawing lovely compliments and reviews in the UK and from the US. Keep ‘em coming! One question I’ve been asked as a guest on blogs during May is why the story of Aurelia Mitela, and why the 1960s? Two things, really. Firstly, we meet Aurelia as an older woman in INCEPTIO, PERFIDITAS and SUCCESSIO and as I was writing her scenes I found myself becoming fascinated by her common sense, toughness and her loneliness. In INCEPTIO, Karen struggles to visualise her grandmother Aurelia twenty plus years before as a military commander leading a unit to retake a war-torn city. And then there’s the mystery of Aurelia’s single life – there is no husband, lover or companion in the family circle or memory, yet she is Karen’s grandmother. Plenty to chew on there. Secondly, I wanted to write about the terrible events twenty-three years before INCEPTIO that scarred Conrad – the heroine’s love interest in the first three books – and threatened the destruction of Roma Nova itself. 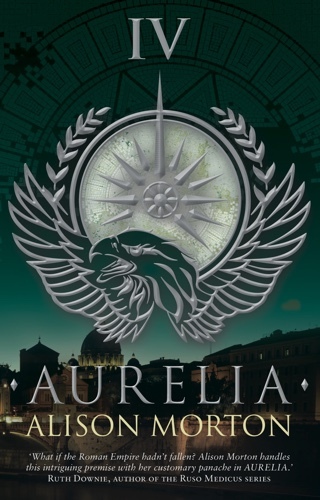 AURELIA is the first of the three books dealing with that period. And the 1960s? Well, to see Aurelia as a woman in her mid to late twenties, I had to set the story when she was that young. It was a fascinating period to research. When writing a series, one of the biggest pluses is being able to develop characters, especially as they get older, change their ideas and take a more mature view on life. You can also introduce another generation which both freshens the stories and brings additional conflict for the original characters. Readers tell me they love plunging back into Roma Nova and seeing what has happened to their favourite character since the last book. Writing a prequel is quite a discipline because we know where it has to end! On the other hand, if you’ve laid a few clues in previous books, you can reveal past secrets and expand backstory. As a reader, I love finding out what happened to favourite characters in the past. 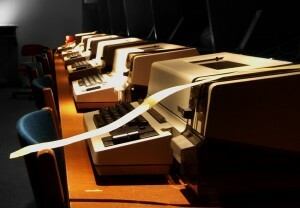 The other benefit is that you can draw contrasts between that period and now, especially social and technological changes; I had to remind myself about overt chauvinism, faxes and telex! You can also nudge history along at the same time. For instance, the police in Carina’s time are called the custodes, literally ‘guardians’. In Aurelia’s 1960s, they’re called vigiles, the traditional Roman name for law enforcement officers. So what happened for the name to change after nearly 1500 years?